Landon Clements may be no longer be a cast member on Southern Charm, but she still has plenty to say about her co-stars. At a recent event in L.A., she talked about her former co-star, Thomas Ravenel, and his arrest last month. She also dished on which of her former cast members she keeps in touch with. Southern Charm Returns For A Fifth Season Kicking Off On April 5th! Watch The Teaser Trailer! Spoiler alert! Shepard “Shep” Rose wasn’t quite all-in on his quest to find love on his spin-off Relationshep (although I’d love to see him with producer Sarah!). Who knew? Technically, I don’t know for certain if his budding romance with the New York chick (I’ve already forgotten her name) crashed and burned, but he did mention a post-filming hookup with a former Summer House yoga one-off on a recent WWHL, so there’s that. However, we will get to see all this (and more!) unfold very soon because SOUTHERN CHARM IS RETURNING FOR ITS FIFTH SEASON VERY SOON! AS IN APRIL 5TH!!! <—This is me maintaining my cool. 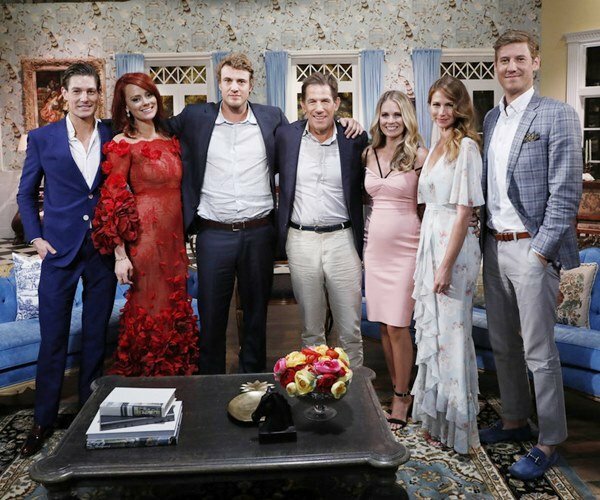 Yes, the whole gang will be returning, with a calmer Kathryn Dennis, new mom/Peter Pan whisperer Cameran Eubanks, and a smitten Thomas Ravenel. Sadly, Craig Conover and Naomie Olindo are no longer a couple and are trying the old “exes as friends” thing perfected by Austen Kroll and Chelsea Meissner (now a “full time” cast member). Of course, they weren’t ever really a pair to begin with, but let’s give those crazy kids a story line! Regardless, I cannot wait for this new season. There will be hilarious antics, South of Broad drama, adorable babies, caftans, and, best of all, crafting Craig! Added bonus? No more Landon Clements! This is news to me, apparently Chelsea Meissner was not a “cast member” on Southern Charm last season even though she appeared in most of the episodes, including trips, and the reunion. In related news, Chelsea is now a cast member on Southern Charm next season. It makes sense to “add” another person to the cast since Landon Clements left the show, but Chelsea doesn’t bring that villain drama the same way Landon did. It will be interesting to see how next season goes without a villain to root against. Before we know it, we will be blessed with a brand new season of Southern Charm. Obviously the seasons are filmed months before they air, so the fans are already aware of some major plot points. Cameran Eubanks is now a mother. Craig Conover and Naomie Olindo ended their relationship. Shep Rose may (or may not) have a girlfriend thanks to his spin-off show Relationshep. Thomas Ravenel is dating a woman named Ashley Jacobs who hasn’t appeared on the show yet. Kathryn Dennis is working at a Charleston department store. Landon Clements is not a part of the cast. All of those aspects are very much public, so I can’t help wondering what else is going on. Are there any other story lines that have been kept under wraps? Or did too much information leak thanks to interviews and social media? It might actually be the latter since production (allegedly) wants the cast members to chill out when it comes to their social media posts. It’s a family-filled time of year for all of your favorite reality stars who have been posting a lot of photos in between Christmas and the New Year. It seems like everyone went on a family vacation this week… just in time to share some great photos for this week’s Instagram Roundup. Siggy Flicker took her family to her favorite city in the world: Boca Raton for some R&R. 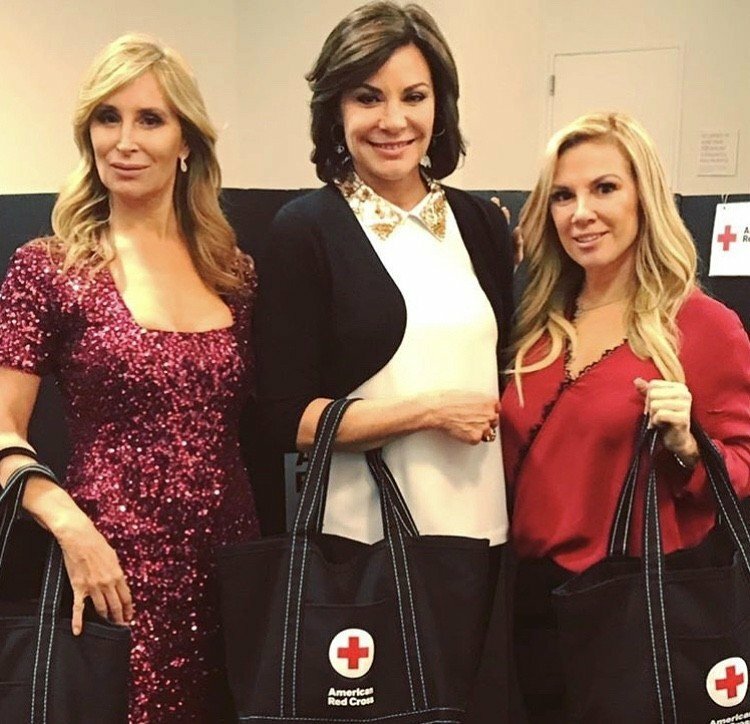 Kyle Richards, Mauricio Umansky, Faye Resnick, and their families spent time in Aspen, Colorado. Bethenny Frankel soaked up some sun on the beach while former Real Housewives of New York star Kelly Bensimon showed off her bikini body in Miami.